The next Chicagoland Winter Carnival is only two weeks away! This year, for the first time, I will be having the event at a new location - at Logan Hardware in Chicago, off Fullerton and Western. 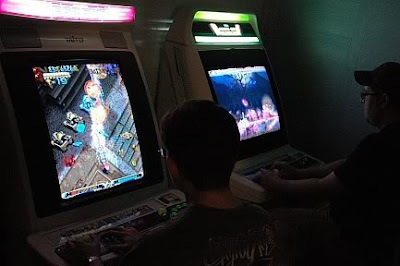 We will have a private backroom with a bunch of candy cabs, a bunch of TV's and a ton of games. Check out the thread at shmups under the Shmupmeet topic header and PM me there if you need more information. This is gonna be the biggest and best one yet!